In need of a family outing? 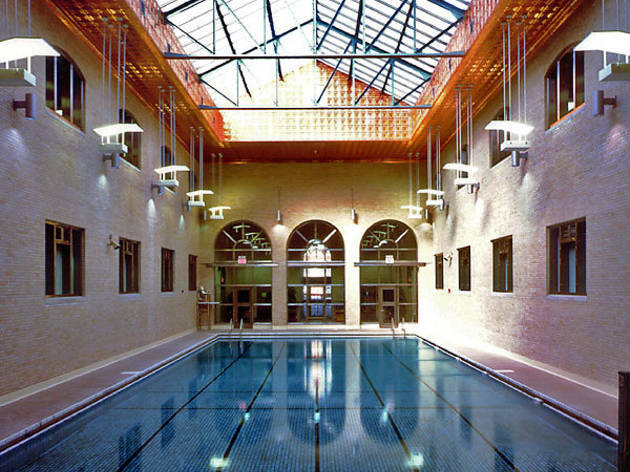 NYC's best indoor pools will definitely be a hit with the whole gang. 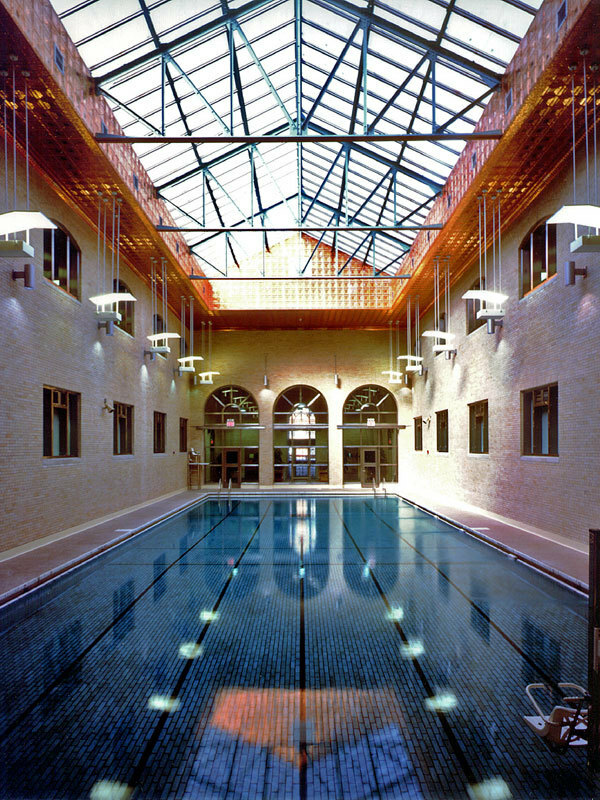 The best indoor swimming pools in NYC are right under your nose! 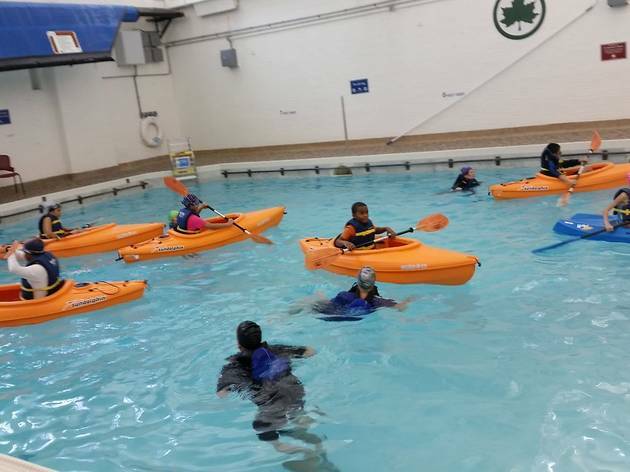 No need to wait until summer to splash around: These indoor swimming pools are perfect for active families, and many pools on our list even offer swim programs and other great stuff to entertain your aspiring sharks and minnows. Grab your goggles and swim bag and head to our favorite spots in the city! Looking for more ways to spend a day off? We've got you covered. Visit these fantastic family attractions, enjoy one of these indoor activities for kids or try one of our top 101 things to do with kids in NYC. With two locations—one in Yorkville and the other in Battery Park City—Asphalt Green is one of the most popular recreation centers in the city, and it’s easy to see why. 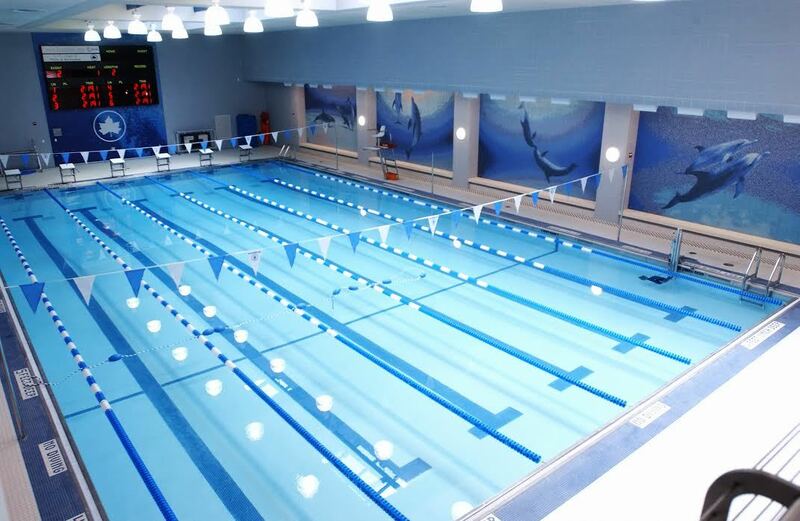 With membership, visitors of all ages receive access to classes and clinics at the indoor pools. 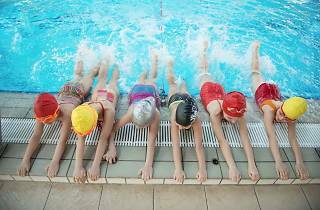 Plus, with designated family swim time on weekend afternoons, you won’t get lost in the shuffle with more advanced swimmers. Upper East Side; Battery Park City (asphaltgreen.org). Head to open Family Swim on Sundays (4–5pm) for $5 per person—complete with floats and toys—to really make a splash. 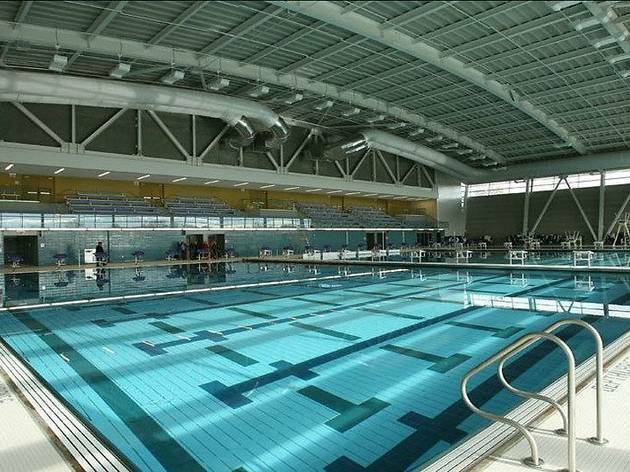 During this time, the shallow and deep end of the pool are separated (with pool toys and flotation devices are provided by the venue). If you want to store your bags/towels, you can bring your own lock (lockers will be open). 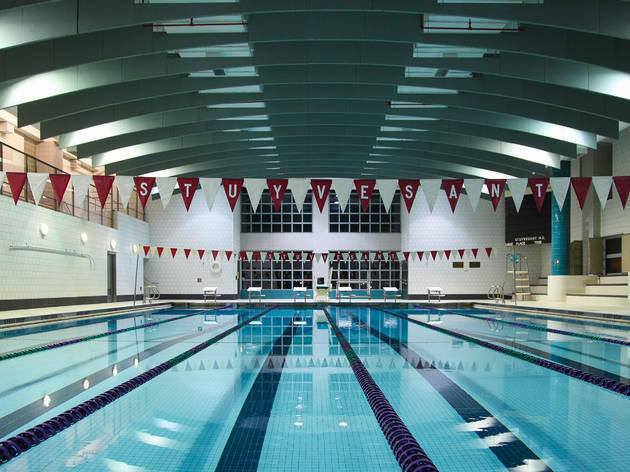 John Jay High School, Park Slope and Erasmus Hall, Prospect Park South (campolympiany.com/swimming). You don’t have to be a member to enjoy the facilities here. 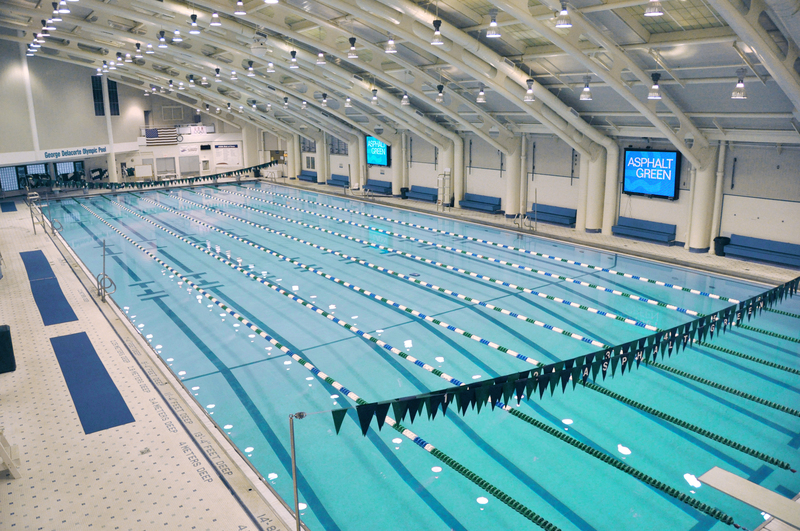 Grab a day pass and take advantage of the half-Olympic-sized pool all afternoon. Open family swim is perfect if you're looking for an event for the entire gang. 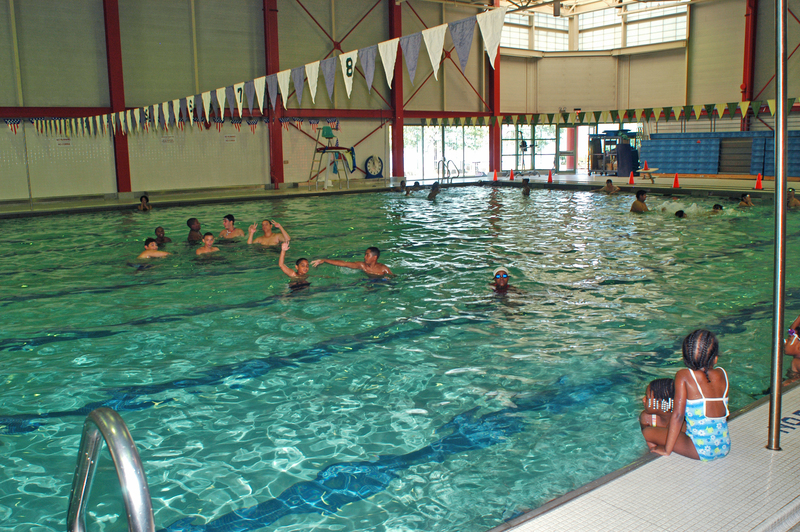 If you join the community center, you can also take advantage of the swimming lessons for all ages. Lower Manhattan (bpcparks.org). 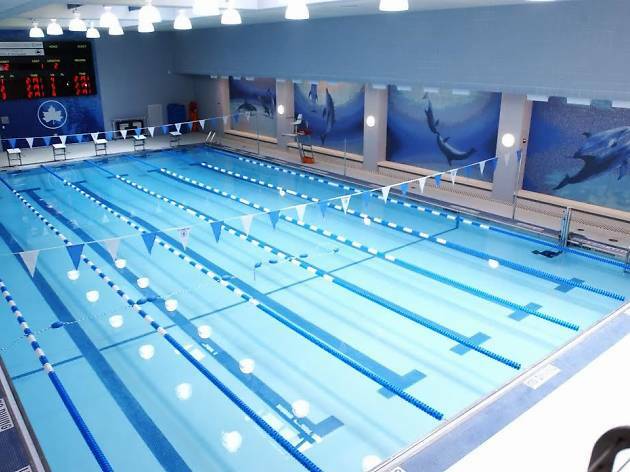 You will have to splurge on a membership pass to use these facilities, but it’s well worth it (plus, this will entitle you to receive access to every NYC recreation center and pool). Located at the site of the 1964 World’s Fair, the aquatic center’s Olympic-sized pool offers wall-to-wall windows with views of the park as well as skylights, so natural lighting is a plus. 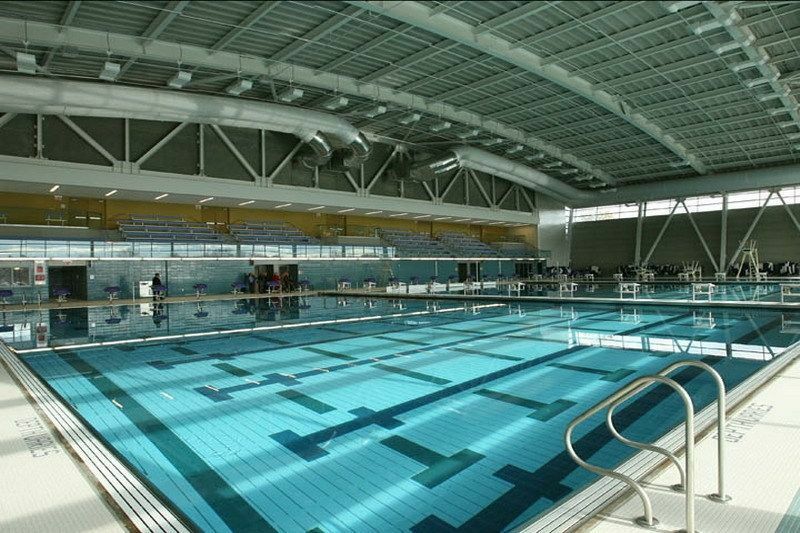 Open swim sessions are held in shallow 3.5-foot waters, the perfect opportunity for safe splashing. Flushing (nycgovparks.org). This Upper West Side family recreation center finally reopened in 2013 after decades-long closure. 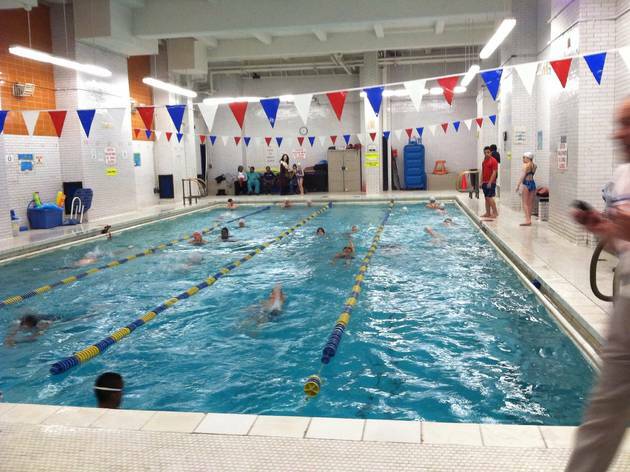 Its pool might be on the smaller side, but the entire rec center caters toward families. With a membership, adults and tykes alike can sign up for swimming lessons inside the retro Roman-style tiled mosaic pool center. 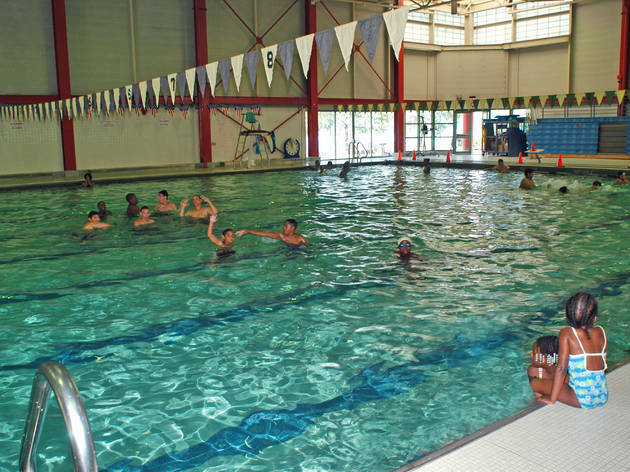 There’s aerobics classes for adults, and everyone can enjoy free swim time. 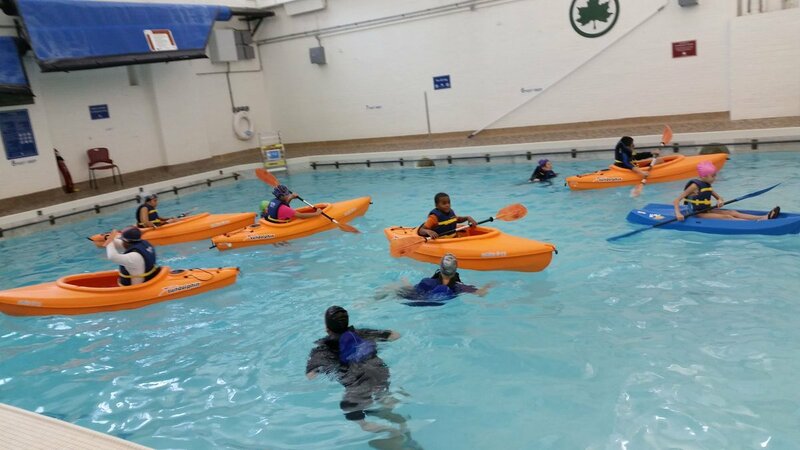 You might even take kayaking lessons in the pool! Yep, we're serious. Hell's Kitchen (nycgovparks.org). 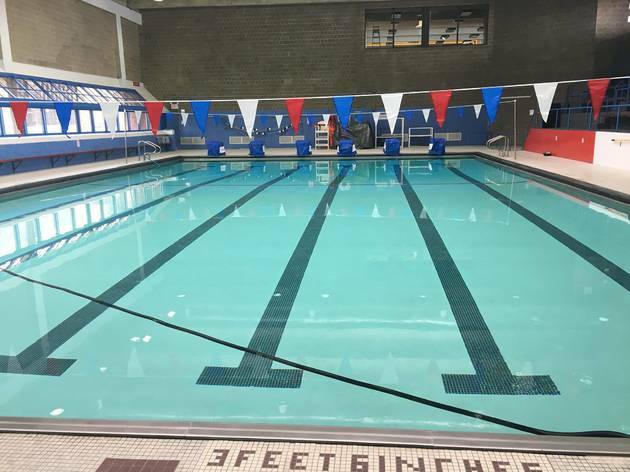 You’ll have to travel all the way up to Hamilton Heights to swim at this New York State-run park’s pool. But you’ll only have to shell out a couple of bucks per person to swim for the day. Adults can purchase a refillable lap swim pass. Hamilton Heights (parks.ny.gov). 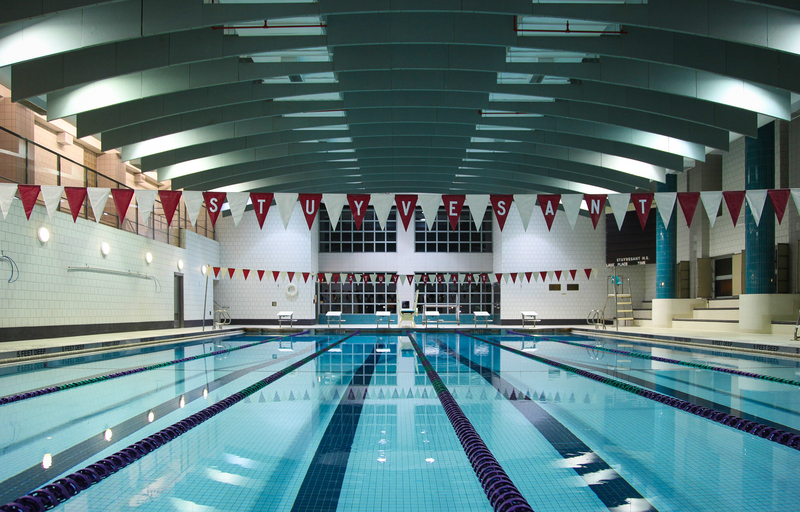 There are plenty of things to do at this massive sports center, but a visit to the pool is by far our favorite. With six lanes and depths of 3.5 to 8.5 feet deep, there's plenty of space for everyone. Family memberships (the most cost-effective option for bigger families) will run you $250 (max of 5 individuals), but you can also opt for a drop-in fee of $5 per adult and $2 per child (ages 4–17) if you're not ready to commit. Roosevelt Island (rioc.ny.gov/Sportspark.htm). 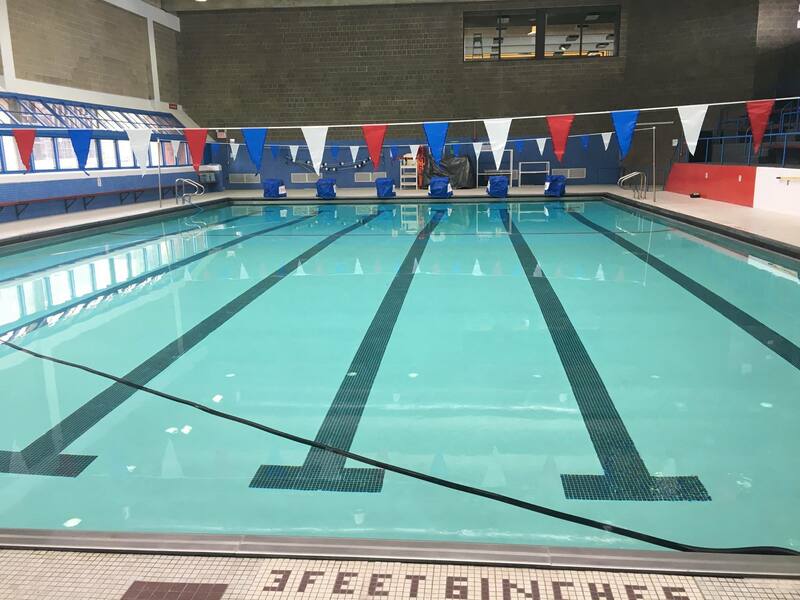 When you get a membership to a city recreation center with a pool, you'll get access to all 12 indoor pools throughout the five boroughs. 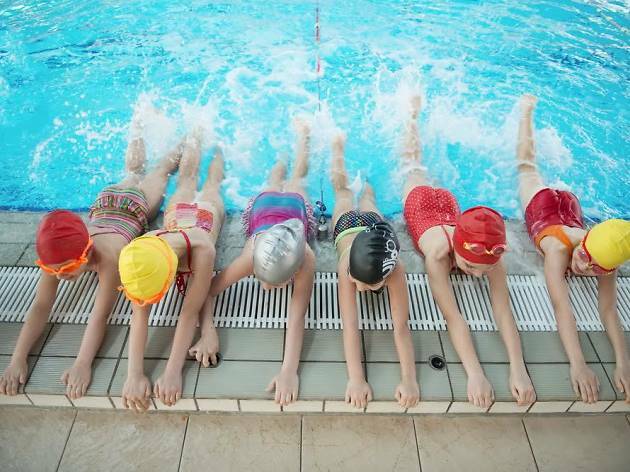 Little fishies have the option to get involved with the youth swim team, and even younger children can take their first stroke at the Learn to Swim course. Check out the online calendar to see what's scheduled for the season. Chelsea (nycgovparks.org). This public recreation center is one of the oldest in Brooklyn and was built nearly a century ago in 1922 by the same architect who designed the Lincoln Memorial. As with most of the NYC indoor pools, you have to buy a citywide membership for access. 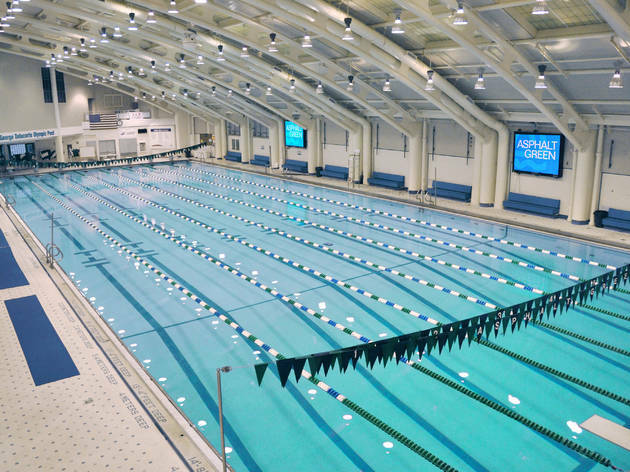 The draw to this 75-foot-long pool is that there are separate swim classes for the female and male members of the recreation center, and there are also separate swimming lessons for kids who want to test the waters. Williamsburg (nycgovparks.org).